Spotted this old stump sitting in the old mill pond above the dam in Limehouse. Decided I wanted to play around with some strobist settings to see how I could improve the background situation. 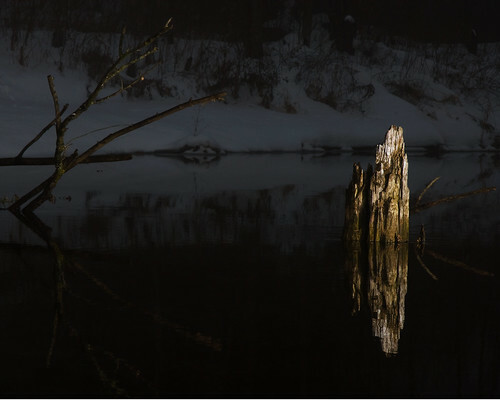 I liked how the branches on the left appear to be grabbing at the stump with the reflection. This is a mid afternoon photo, on a foggy day.